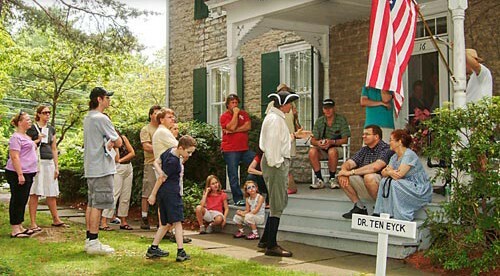 Step into over 350 years of history this Saturday when the town of Hurley will host its annual Stone House Day on July 12. This year, eight of the town's historic stone houses will be open to the public. 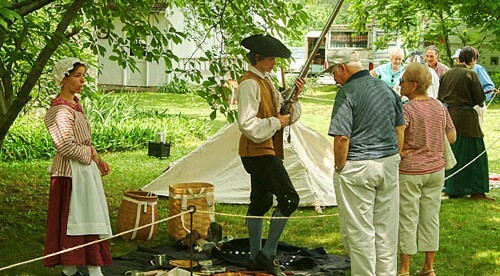 Settled in 1662, Hurley has been witness to many key events in our country's history. The town was officially settled as Hurley in 1664 after the Dutch colony of New Amsterdam was taken over by the British. During the Revolutionary War, it served as the temporary capital of New York State. The famous civil and women's rights activist Sojourner Truth was born in the town in 1797. The town's Main Street is now listed on the National Register of Historic Places for its well preserved historic homes. The oldest house featured on the tour, the Du Mond House, dates to 1690, and was used as a prison during the Revolution. Additionally, visitors will also get a chance to tour the VanDeusen House, which served as the temporary state capitol building, and the Ten Eyck House, which some believe was a stop on the underground railroad.